Enjoy the View & the Peacefulness of the Caldera. 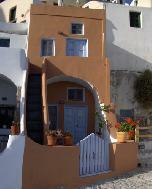 The Kallisti Villa & Studio is situated in the traditional settlement of Oia, in a quiet neighborhood, 10 minutes walking from the center. It was restored in 2007 with respect to the architectural characteristics of the village. 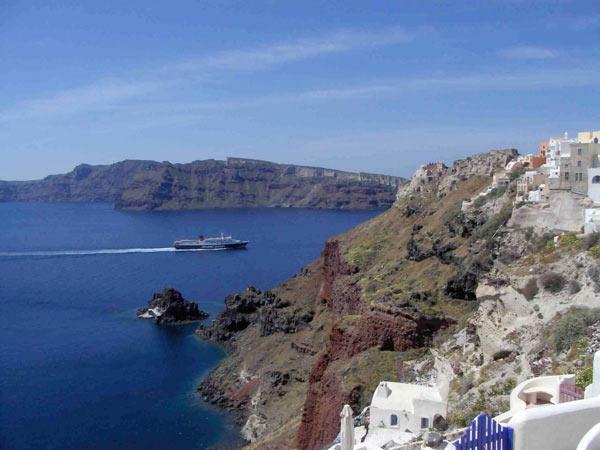 The Villa & the Studio are situated in the most upscale side of Santorini, on the famous Caldera (cliff), overlooking the volcano and the Aegean Sea from over 200 mtrs in altitude. The view from the Villa is truly breathtaking. You can relax & have drinks or light food at the veranda enjoying the view and peacefulness of the scenery. The property is dug up into the rock that is made of volcanic ash, lava and pumice stone that eventually led to the creation of a compact soil which is called “aspa”. That’s why the cave Villas are cool in the summer. With simple and frugal lines which exhale the sense of comfort and distinctive luxury, but also the living in relaxing and comfortable rhythms, make you feel like being in your own home. 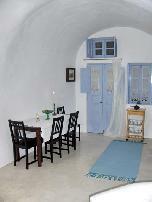 Kallisti Villa (2 persons): It's a special accommodation built in the rock, in line with the historic and traditional style of housing in Santorini. It consists of two big arched spaces, one of which is the sitting room with a stone made sofa bed and a kitchen, with a dining area. The second one is the master bedroom with a luxury bathroom. TV & air-conditioning is also available. The floors throughout the house are of traditional polished cement. 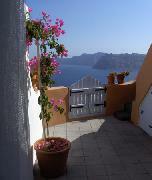 There’s private balcony with view to the Caldera. 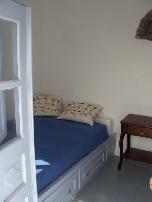 Studio (2 people): Includes a bedroom, a bathroom and a small private balcony with a traditional Greek coffee table with chairs. 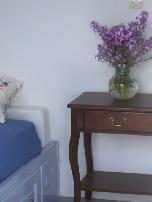 It is air- conditioned, with refrigerator & coffee machine. The Studio is autonomous, build over the villa & has view to the Caldera. In order to secure your reservation a deposit of 50% of the total amount is charged to a credit card. The remaining amount is charged 1 day prior arrival. Είστε ιδιοκτήτης ή διευθυντής στο KALLISTI VILLAS; Εγγραφείτε τώρα για δωρεάν εργαλεία, που μπορείτε να χρησιμοποιήσετε για να βελτιώσετε την καταχώρησή σας και να συνδέσετε την ιστοσελίδα σας και το σύστημα κρατήσεών σας.